Bassi is a small town located in the Chittorgarh City of Rajasthan. The Bassi Fort in the town Bassi is the main highlight of the town. The Bassi Fort is set amidst beautiful surroundings. The massive entrance doors, arches, mahals and corridors remind the visitor of the period of chivalry. The fort functioned as a residence to the royal families of Mewar during the 16th century. The fort retains its old-world charm and grandeur. 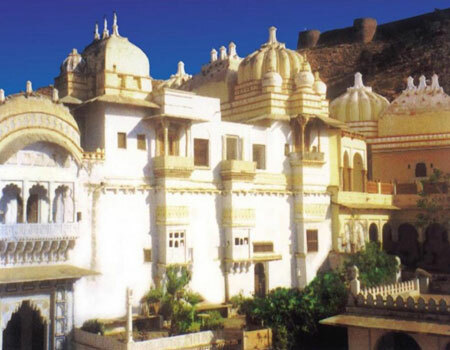 Today, the Bassi Fort is the best accommodation option in Rajasthan as it has been converted into a luxury hotel. The hotel offers both luxury and pleasure to its guests and is truly a paradise for the travellers. Bassi Wildlife Sanctuary is another attraction for the tourists visiting Bassi. The sanctuary is at a distance of 5 kilometres off the Bassi Fort. A variety of animals ans migratory birds can be seen in the sanctuary.